A question came up on the boards.ie programming forum a week or so ago about whether to write apps for the iPhone or the Android platform. With Suura, we’ve been looking at what platforms to write clients for (and which to write for first), and it occurs to me that the data on what’s actually going on and what the hype is pushing are monumentally disparate. 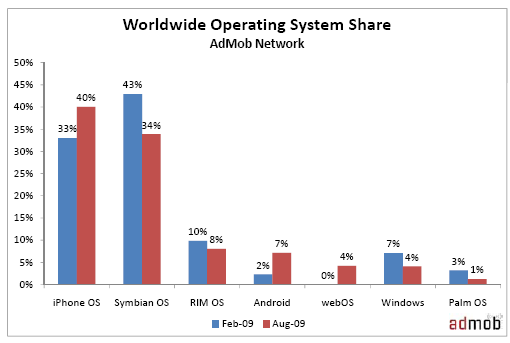 Believe the hype and the competition is all between Android and WebOS. Yes, it’s rising and I’d be surprised if it tailed off tomorrow, but it’s still only a small part of a niche market – don’t forget that the telecoms market is seeing 50% global market penetration at the moment and is looking to improve on that. That’s one mobile phone (of any type) for every two humans on the planet. Unless you’re talking clothes or food, odds are you’ve never even seen a commodity that sells that well, let alone a high-tech one. So the mobile internet is still quite a small part of the overall picture here. Secondly, to compete with the iPhone, you’re going to have to have an integrated approach – hardware and software design. That’s not a trivial problem, it’s one of the more hinky embedded system problems around at the moment. Apple are very good at this sort of thing and it takes a fair bit of know-how to be a threat to them. Being a slightly better iPhone is just not going to be enough to compete, especially given the marketshare the iPhone currently enjoys. So for the moment (and the immediately foreseeable future), the platform for anyone looking to sell mobile apps is the iPhone, regardless of the hype surrounding Android, WebOS or Moblin. Personally, however, I think the “Next Big Thing” isn’t really being talked about much right now. 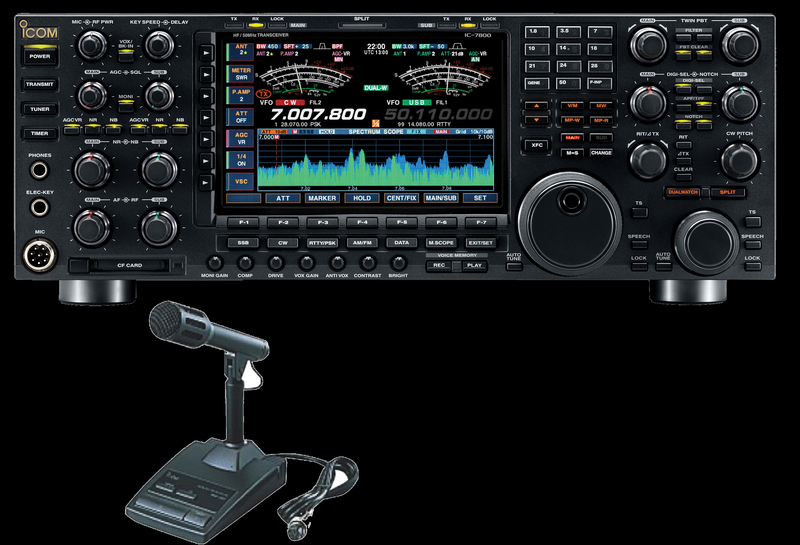 It’s going to be an iCom rather than an iPhone, the looks are going to be important, but more than that it’s going to need some major backing. 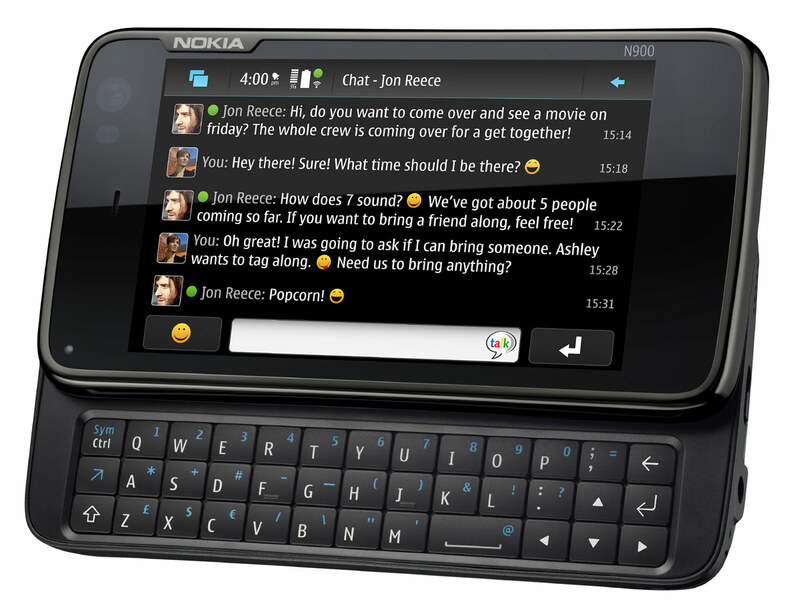 I think myself that the best looking contender out there right now is the Nokia N900. Look, everyone thinks Android’s hot because Google is big. But Google isn’t big. Not compared to Nokia. Nokia has a bad day – Finland’s GDP takes a hit. That is what “big” means. 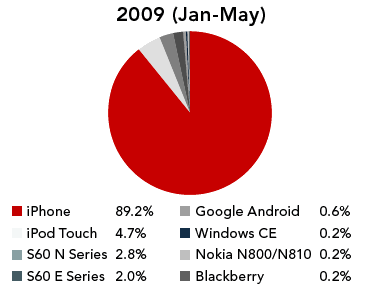 And with Nokia dropping the horrible developer experience that S60 development is, and taking on some hefty open source projects like Maemo and Qt to build the N900, and having an app store (Ovi) already running (even if it’s a pain in the fundament to use right now), they have a real shot at eating Apple’s lunch. The only missing piece from the N900, the thing that would have made it a major threat, would have been the inclusion of GAN hardware in the phone (if the operators could offload from 3G to Wifi on the fly with GAN, they’d want the N900 out there with a vengeance). Still though, if you had to seek out the next big thing – I’d be looking at the Maemo platform very hard indeed. Actually, Google’s market capitalization is three times larger than Nokia’s (65% of Finland’s annual GDP, versus 21% for Nokia). Google’s revenue is much smaller, but their net income is about the same. I think that Google qualifies as “big” by any measure. I don’t buy that as an accurate valuation of Google, any more than I buy that Facebook has a actual value in the billions. Nokia’s valuation is based on actual physical goods designed, manufactured and shipped, as well as the more speculative aspects of its future deals in various markets. If the question is where I’d put my money, it’s not going to be into Google, anymore than it’d be into the Irish housing market at the moment. How is the speed compared to an iphone when loading the web? I think you’re missing a very important aspect of the Boingo data, which btw can be found here: http://www.boingo.com/blog/wp-content/uploads/2009/08/boingo-wi-fi-mobile-snapshot-final1.pdf – the stats are based only on wi-fi networks in airports. No doubt the data will be indicative of the bigger picture, but it can only reliably say something about internet usage on high-end phones owned by (primarily) business users. That’s certainly true (and no, I didn’t miss it), and it’s underlined by the apparent conflict of Boingo’s claim that Airports are the top usage area for wifi usage in the US and JiWire’s claim that Hotel/Resort usage is the top usage area (55%) with Airports in second place (27%) (again, for the US). JiWire’s more diverse data sources would seem to explain this discrepancy. Thirdly, JiWire’s broader data and Boingo’s more focussed data both give the same end picture as regards wifi access from handheld devices. 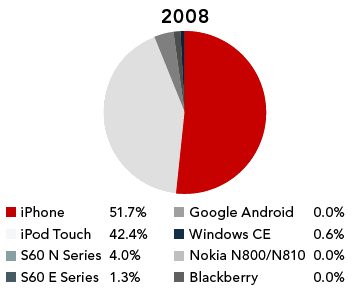 JiWire sees more iPod Touch devices than Boingo does, but in both cases, the iPhone and iPod between them take over 90% of the market (97.8% in JiWire’s data, 93.9% in Boingo’s). Google now has *five* times Nokia’s market cap. P.S. I want Maemo/Meego to succeed. I received one of the first Nokia 770 tablets through their generous open source contributor’s program. Now I have an N900, and I work for Mozilla on Mobile Firefox (the third most popular download in the Maemo Ovi Store). But my everyday phone is a Nexus One, and it’s Android that is my main hope for a free and open mobile platform. Nokia does have a potential gem with Maemo, but they really need to get in the game and make something out of it. They’ve had five years and haven’t yet reached the mainstream, while Apple and Google have produce polished user experiences and delivered them to the masses. 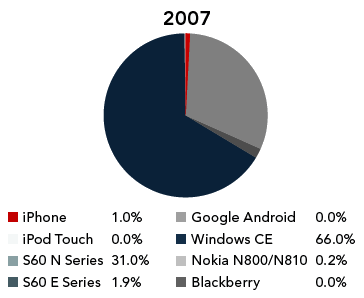 Nokia needs to stabilize the Maemo development platform, stop yanking the rug from under developers by switching toolkits and technologies and dropping last year’s hardware with every new platform release. They need to polish the user experience (fewer modal dialogs; better touch UI; things like xterm should be an optional app for developers, not shipped as a default app; etc.). And they need to focus all their effort on one platform (today’s news that Meego would be their only future high-end smartphone OS is a ray of hope).